It’s very simple to download Twitter videos. All you have to do is to follow below steps. Click on the steps for detailed description. 1)	Find the Tweet that has the video to download. 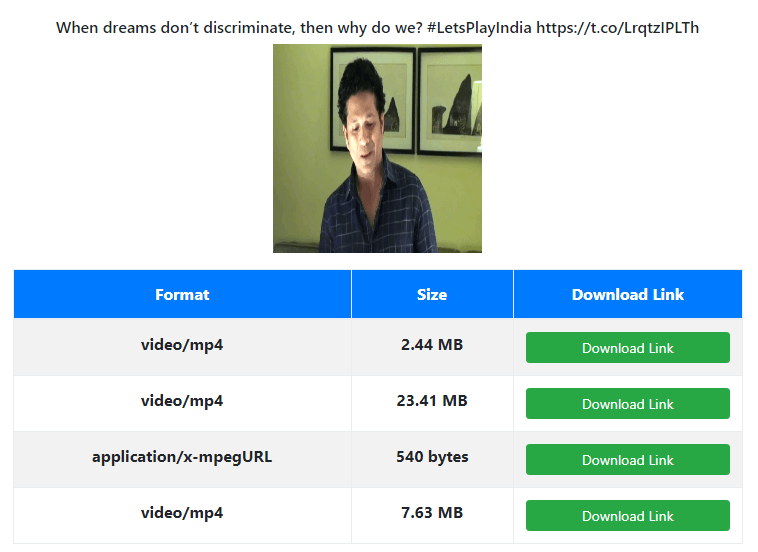 4)	Now you will get the download links of different formats. 5)	Just click on the download link to download the video in mp4 format. 6)	If you want the video in mp3 format there is also the option in the table. Just click on the download link in the mp3 box. 8)	Hope you enjoy downloading Twitter videos. 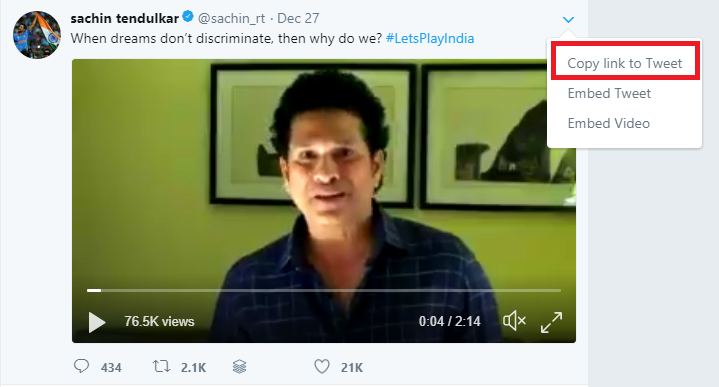 Still facing issues or problems in twitter video download? Message us by clicking here. Note : We are in no way related to Twitter & We don't host any videos from Twitter.